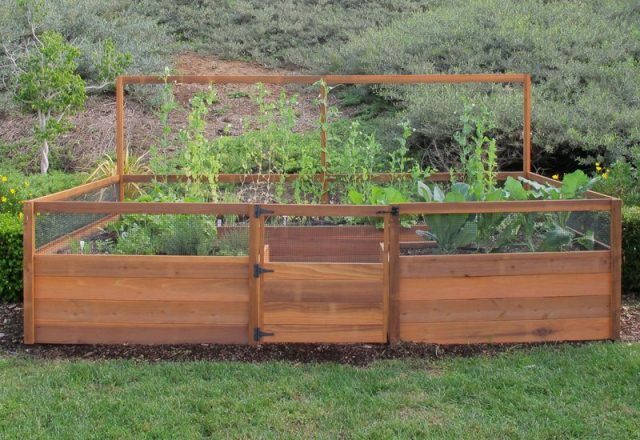 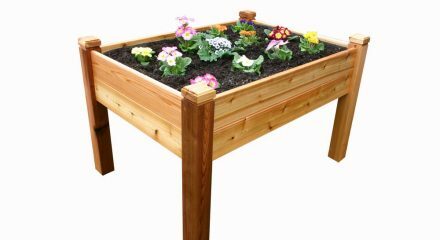 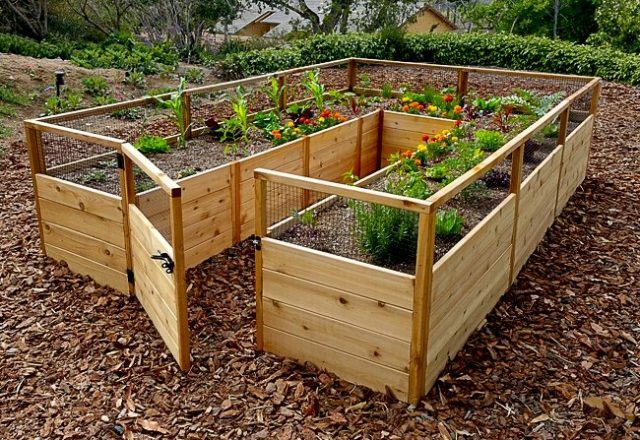 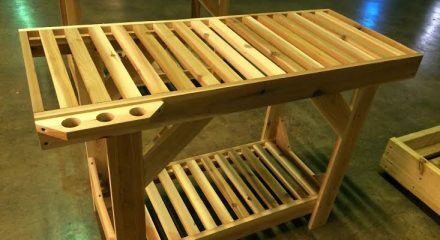 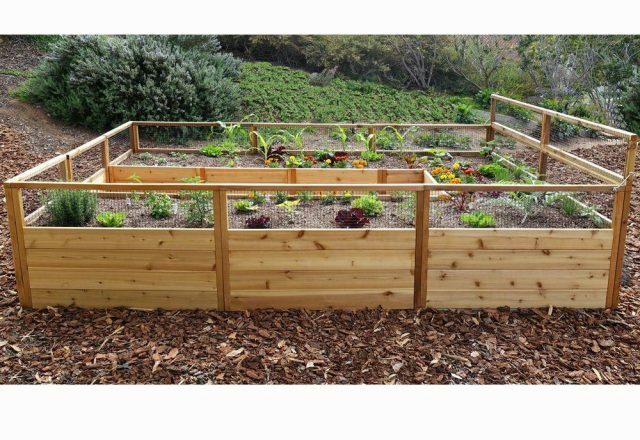 Our Raised Garden Bed 8 x 12 takes urban gardening to a whole new level. 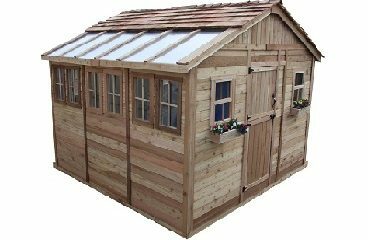 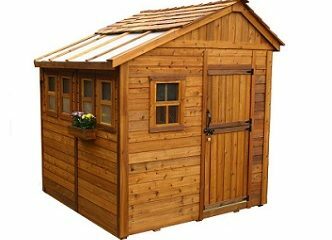 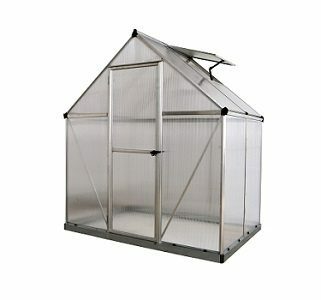 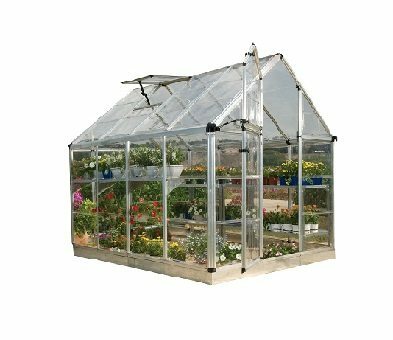 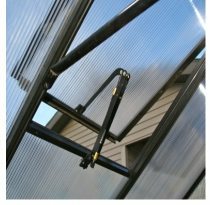 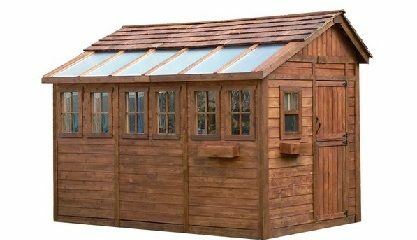 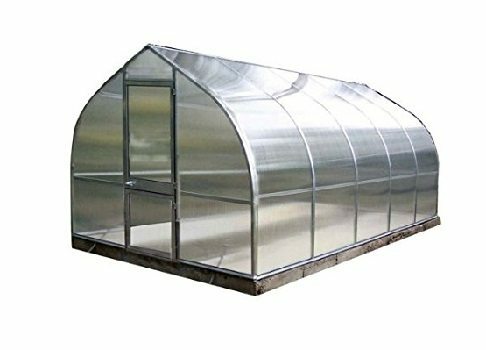 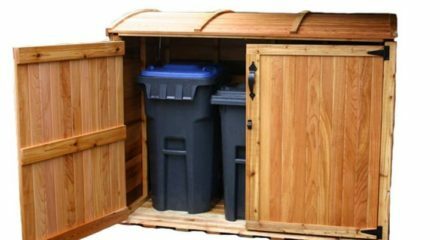 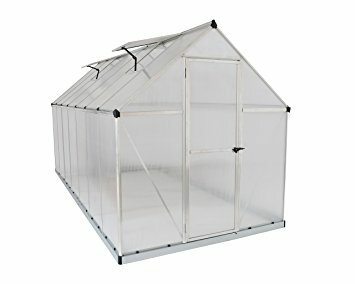 Big in size and easy to access from all sides makes growing crops for a family of four or more a breeze. 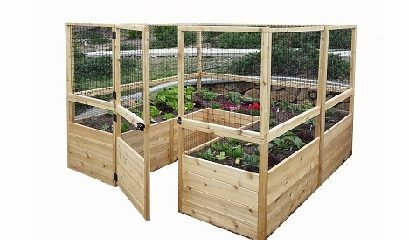 Paneled Western Red Cedar walls are easy to assemble and our two hinged, wire mesh screens folding trellis can be mounted on the sides or the rear for a total height of 47 in. 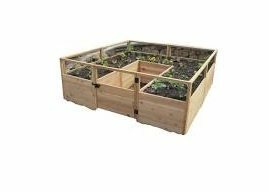 Climbing plants, tomatoes, or runner beans will have lots of room to grow. 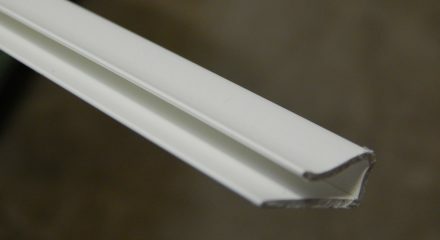 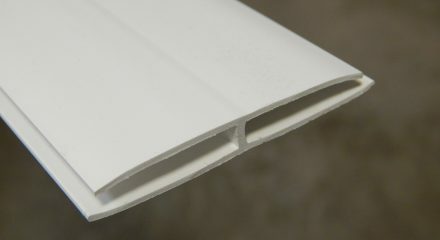 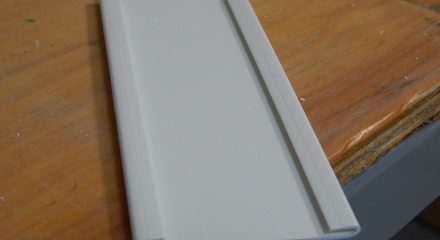 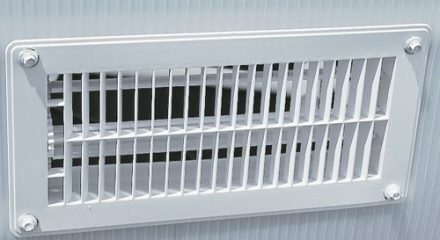 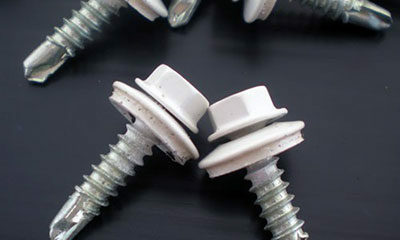 Every wall panel allows 20 in. 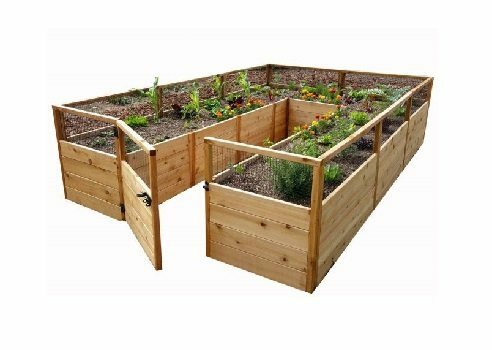 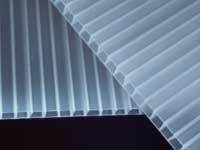 depth of growing height with an attached wire mesh screened frame. 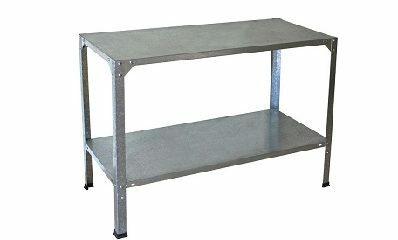 Total height of 33.5 in. 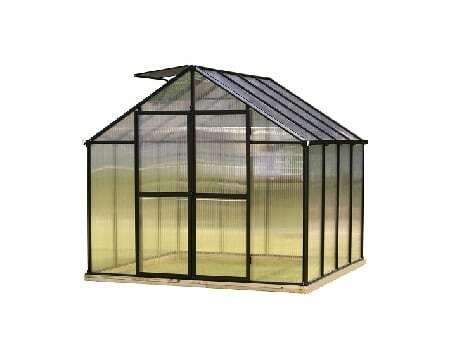 will keep dogs and pests away. 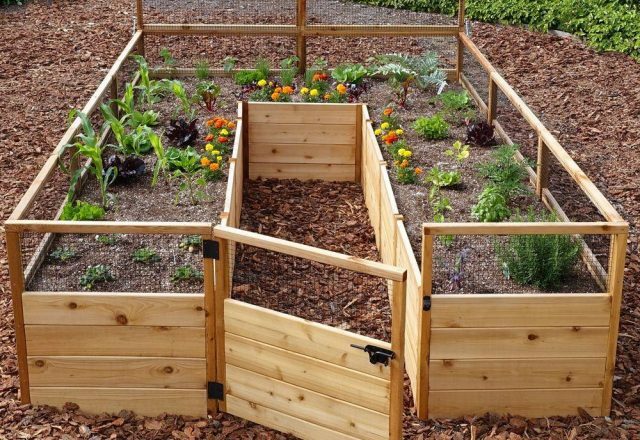 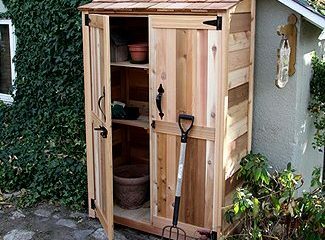 Weeding and planting will be a breeze with easy access in and out of your garden bed through the door with an attractive latch.